Yes, this is the cold season's fashion report on what cool winter wear is sizzling hot! So far, this season it looks like what's getting rave reviews are the cute graphic scarves. They come in all colors, lengths, designs, and patterns. I myself have a shorter cute red and black hounds tooth pattern scarf and a simple long lime green one. They add a perfect little accent to your outfit, plus it's great to have a little extra warmth! (left) Scarves available for $16.00 at www.pitayaonline.com. 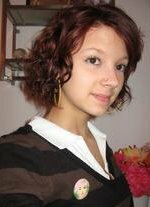 (right) Scarf available for $9.50 at www.wetseal.com or your local store. 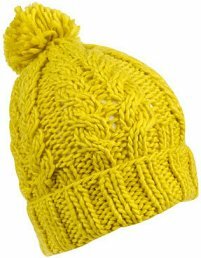 Another huge winter style is those cool little hats that have flaps and a tie that hangs down. Sometimes they're called toboggan hats, aviator's caps, hunter caps, or even Sherlock Holmes detective hats! Whatever you call them, one thing's for sure: they're making a HUGE appearance this winter. I have seen them come in some pretty cool and different patterns, including zigzag, hearts, or even simple solids and stripes! Hat available for $7.80 at www.forever21.com. A big plus to it being cold and snowy (yes, I know, hard to believe there is a plus to it being freezing) is being able to break out your coat! Or, if you want, buy a new one for this season. The winter coat trend would definitely be something to remember next time you're out at the mall picking out a coat. 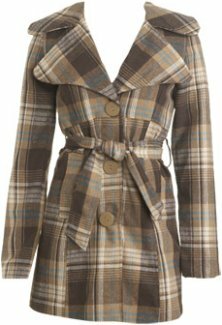 Winter coat style is all about 3 things: plaid, fur, and a trench! As long as you keep these in mind while searching, you should be completely fine. This season it's totally a cute, plaid design, like my coat. It's gray plaid and has a fur-trimmed hood. This brings us to the next thing, fur. I'm not saying you should go out and buy a $200 faux-fur coat. I'm just saying fur accents are key. Accents like my coat has - a fur-trimmed hood. Or maybe a little fur on the sleeve and the bottom. Moderation is the key term here! Lastly, trench coats are super popular now, too. 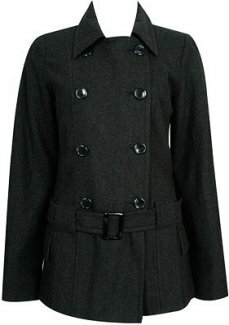 Even if it's just a simple black knee length trench coat, it still works and is still stylish. Double breasted trenches are great too, and are extra warm. Even spring for one with a tie or a funky buckle, just to be different. (left) Coat available for $37.80 at www.forever21.com. (right) Coat available for $34.50 at www.wetseal.com or your local store. 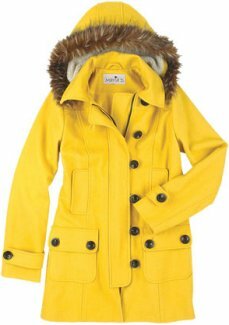 Coat available for $99.50 at www.store.delias.com. One last thing on the winter to-buy list is boots! 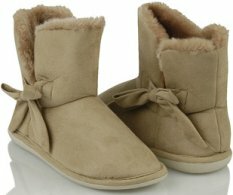 Make sure you go get some simple but cute Uggs. They're definitely back in style yet again. But hey, if they're stylish, why not? If you're not a big Uggs fan, then go for a more unique pair of boots. Knit or sweater boots are 'in' right now too. 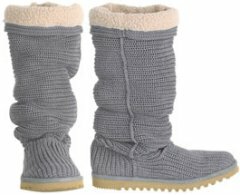 Or even the big, fluffy Eskimo boots! These are comfy, cute, and super warm! (left) Boots available for $49.50 at www.store.delias.com. (right) Boots available for $24.80 at www.forever21.com or your local store.